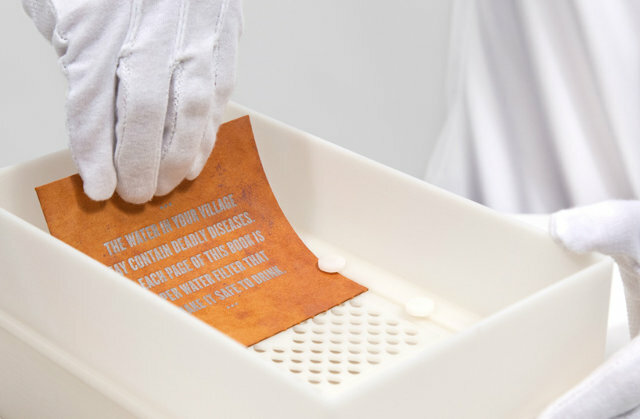 Water is Life with its partners created this 'Drinkable Book' to provide clean water to places that do not have access to it. 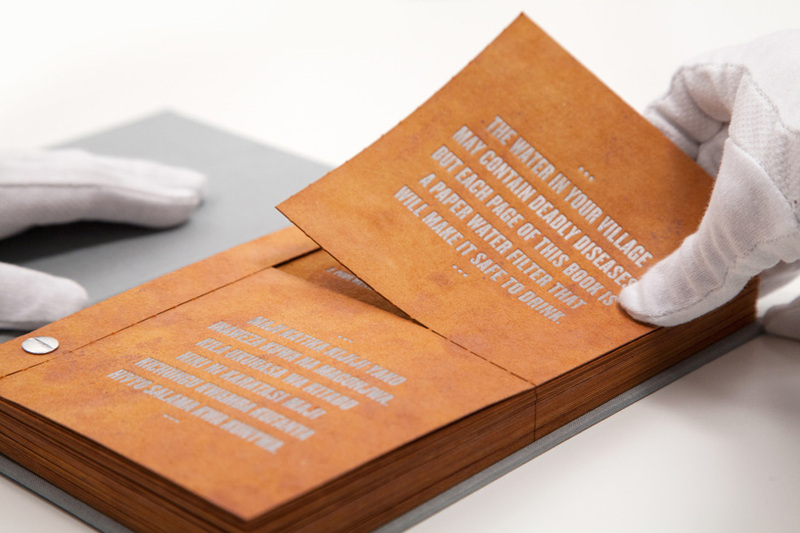 Each page in the book is coated with silver nanoparticles to prevent waterborne diseases like cholera, typhoid and E. coli. 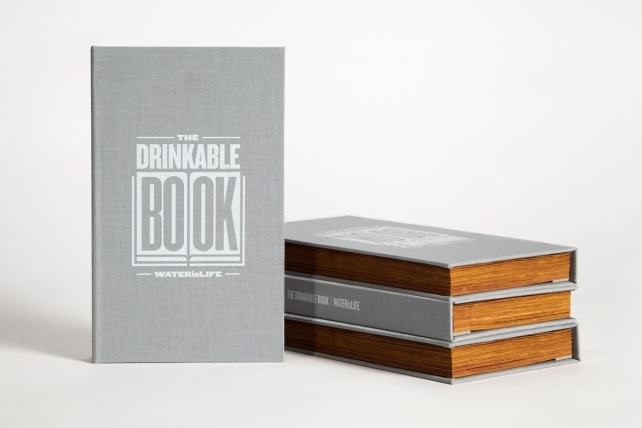 Water that comes out of the book is cleaner and safer to drink. 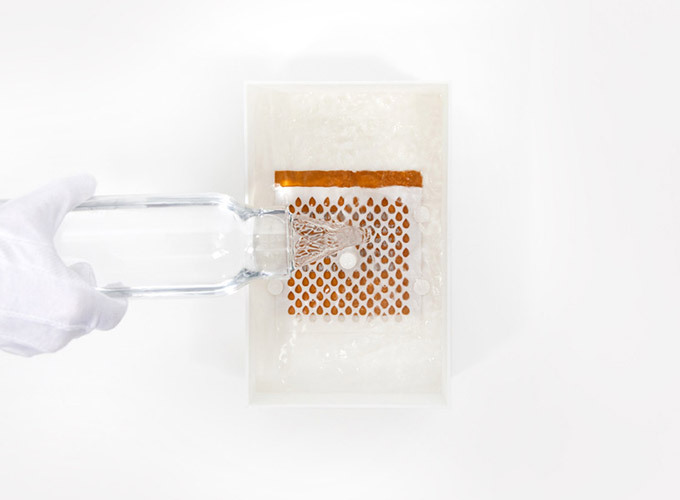 99.99% of the bacteria is removed using this method. These people probably do not know that their water is unsafe to drink so each page is also printed to spread awareness among them. Each filter is meant for a month. Just slide one piece into the book and pour water through it. If you're interested in donating for the cause, you can find their details on the Water is Life website.